“You see I know change. I see change. I embody change.” These are the words of Vinny Jones at the beginning of Joss Stone’s song “Change” and with Stone’s decision to support Cruelty Free International, a new global organization dedicated to ending animal testing, she is now acting on the words of her song to help animals in need. “I’m proud to support Cruelty Free International. At last someone has stepped up to the plate to take on the task of ending cosmetics tests on animals around the world," said Stone. Stone further stated that beauty products like lipstick, toothpaste and fragrances are tested at the mercy of the lives of innocent animals every year. Over 80 percent of the world still allows animals to be tested for beauty products. Rabbits, guinea pigs, mice and rats, among others, are injected, gassed, force-fed and killed in the process of cosmetics testing. Cruelty Free International was created in March by the British Union for the Abolition of Vivisection, one the world’s earliest animal protection organizations, which works to pass legislation banning the testing of animals for human products. After a campaign by the BUAV, the European Union banned animal testing and their ingredients and banned the sale of some cosmetics that have been tested on animals from other parts of the world. Croatia and Norway also placed bans on cosmetic and ingredient testing on animals and in 2015, Israel is slated to do the same. With offices in London, Boston and Singapore, Cruelty Free International is poised to make a difference in all areas of the world, including the United States, one of the 80 percent who have not yet banned animal testing. “We are thrilled to have Joss Stone on board and are grateful for her support in helping us with our mission for a global ban on the use of animals to test cosmetics," said Michelle Thew, Cruelty Free International Chief Executive. The origin of animal testing is from the requirement for companies to test their products to prove that they will not harm humans, which is where the role of the animals comes in. But there are other ways of making sure products will not harm humans without harming animals in the process. One such way is called the Direct Peptide Reactivity Assay, or DPRA, which tests skin sensitization using the proteins in the skin to test the reaction, a process called haptenation. This can be done in a test tube without the suffering of innocent animals and has already been used by the industry for the past decade. 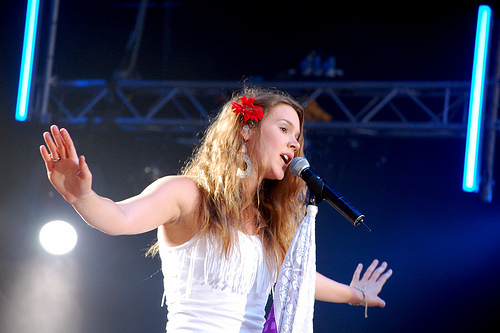 With the help of Joss Stone and other influential society members, Cruelty Free International can start a trend that will end the damaging practice for good. Yet, you do not have to be famous to make a difference. Visit crueltyfreeinternational.org to find out what you can do to help.